Dumle Original candies are 220g of soft chewy toffees playfully covered in smooth chocolate. Sweet and perfect for your next fika! 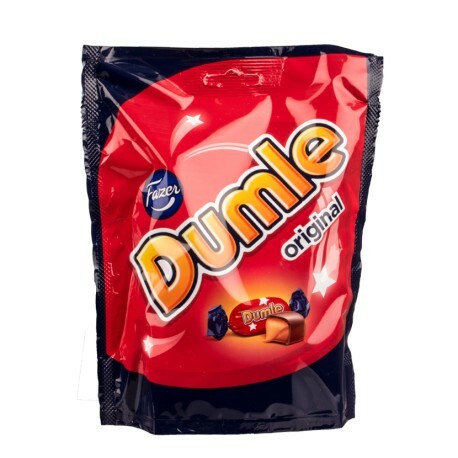 Dumle Original Swedish candy is always fresh and priced right at SnusCentral.com! There is no tobacco in any of our yummy Swedish candy. Buy snus from our huge, fresh Swedish snus selection if you are looking for tobacco!